Nevada Real Estate laws and practices differ from other states. I will help you navigate the complexities and pitfalls of property purchases. I understand the market in the area you desire and will be your advocate throughout the process. Isn't it nice to know that you have someone on your side looking out for your interests? I trust that you will find your experience pleasant and are confident that once you use me as your Agent you will insist on doing so in all of your future Real Estate purchases. Whether you are considering a vacation or second home for a weekend escape or a family legacy property let your me guide you through the decision-making process as well as the transaction assuring a smooth and enjoyable experience. Many of these properties are located in resort areas not in the same State or region as your primary home and are subject to local restrictions, taxes, and regulations. Dealing with homeowners associations, management companies, local lending, Insurance, covenants, building regulations, Title issues, well permits, weather conditions that might affect value, transportation and technology options can all be a challenge particularly if you are trying to deal with these issues from a distance. Often times I can show you how you can turn these possible pitfalls into advantages with their local knowledge and expertise. I want you to enjoy your vacation or second home property bringing you and your family great memories for years to come. By using me as a resource before, during and after the transaction with their attention to detail and guidance will allow you this opportunity. Whether your desire is to own a secluded cabin in the woods or a home on a golf course, beach or ski slope determining your needs and how you plan on using the home, are essential to your selection process. Will you be using this property seasonally or just on weekends, as a gathering place for friends and relatives for holidays or simply an escape from the stresses of everyday living? Emotions play a large part in your property selection, as it should. However, don't allow your emotions to be the overriding decider. There are many factors that need to be considered to ensure that you will be able to enjoy your escape property. Most important on this list is what will happen to the home when you are not there? What attention to the home might be needed in your absence? The benefit of single-family home ownership is that you have more flexibility on individual choices. The challenge is more daily attention may be required. There are management companies who specialize in the caretaking of single family homes and many offer a menu of options. Understanding the costs and paring down what you need or desire will help you determine what the costs might be. Also understanding local zoning regulations and common interest community rules and regulations might determine if this home is appropriate for your desired use. Other determining factors might be property taxes (some states charge higher property taxes on out of state owners), utility costs, transportation costs, and options. Local issues such as snow load or flooding, pest control or mold are also vital pieces of information. Once under contract, an inspection should be conducted and in many areas of the United States radon can be a factor. This is relatively simple and inexpensive to mitigate and often something the Seller will pay for. When the topic of Retirement Living comes up there are a number of special considerations that are usually included in the conversation. This article will discuss some of the absolutes in any search for property for a retired homeowner. Even if there are no mobility impairments now, a good home for retirement will take into account that there will likely be mobility impairments in the future. That is why the vast majority of retirement communities have all the primary living spaces on the main floor. If more space is needed for things like visitor rooms they often go on upper or lower floors. And don't forget the entryway to the home. It is always best if there is space for a ramp from the garage or a convenient exterior door. Even if you don't need it, it is likely that some of your visitors may. Another important aspect is the convenience of various activities. Those activities are very different for different people but they often center around golf, fishing, church, or family. Sometimes the retirement community is built around these activities, sometimes they are nearby. Consider how those retirement hours will be spent before your purchase. Additionally, if you want to increase your chances of having visitors consider moving to an area close to national attractions. This is one reason there are so many retirement communities near the Disney theme parks. One aspect that sometimes gets neglected when choosing a retirement community is access to easy travel. You don't want to be isolated so consider how you will travel and how friends and family might travel to you. One final aspect to consider is security. Ideally you want the ability to close your door and travel without worrying about having your home burglarized. Gated communities often help owners feel more secure. Having friends in the development who can check on your home is another option to consider. "The Most Trusted REALTOR in Mesquite"
Homes for sale in Mesquite Neighborhoods. Everything you always wanted to know about Mesquite Nevada. This amazing community is built by Pulte in Mesquite, Nevada. This master plan is approximately 2,014 acres in size. Sun City Mesquite is being built within this master plan on 812 acres. Also included will be 167 acres of conventional housing without age qualification. An 18 hole Gary Panks designed golf course is a central feature. Upon completion, this community is projected to have 4,600 homes, including 3,600 homes in Sun City Mesquite. The grand opening for the public was June 16th, 2007. Amenities include an 18-hole putting course, tennis, pickleball, and bocce courts, 30,000 SF clubhouse has a billiards room, state-of-the-art gym, aerobics studio, indoor pool, spa, indoor walking track, clubs, classes, and over 100 activities. Conestoga Golf Club provides a scenic backdrop to the outdoor pool, two spas. Sun City residents receive discounts on meals at Conestoga Golf Clubs 1880 Grill. Below is a link of all the currently listed properties in Sun City Mesquite. This information is updated every 24 hours. All Sun City Resale sale homes. When this project opened what it offered had two potential advantages over similar developments in other areas, price and the ability to have a Pulte/Del Webb community only in more of a small town environment. The small town advantage is still there for those that prefer it. The price advantage is lower than similar homes in the Las Vegas area. One additional advantage now is that Sun City Mesquite is now the only age-restricted community in the area selling new homes that offer comparable home sizes and options that are on the scale of the larger age-restricted communities in other Del Webb developments. I drove the community with my GPS and found that the elevations of the current construction at this community range from 1,750 ft. to 1,850 ft. above sea level. Note that several new floor plans have been added. The new floor plans are a drastic departure from what Pulte/Dell Webb has offered in the past. Significant structural options have not been a part of the Pulte/Del Webb philosophy. Now there is an incredible number of customizations available. Current selling prices for both new and resale, over the last year run between $125 and $190 per sq. ft. That starts somewhat lower than the median selling prices per sq. ft. for the Sun City communities in the greater Las Vegas area. Sun City Mesquite has 22 single story home designs ranging from 1,241 to 3,115 sq. ft. Base prices range for the current models, at the time of this writing, May 7, 2018, are between $185,990 and $332,990. The sizes of these current models range from 1,241 to 2,514 sq. ft. I know this development well and have represented many buyers here. It is a beautiful community with great mountain views and wonderful topography. Many lots will be at elevation, looking down into the community as well as out into the valley. This is a newer and very interesting option to other age-restricted communities, Del Webb and otherwise, presently available in the Clark County, Nevada area. It may also appeal to prospective buyers that may otherwise pick another location in the southwest. The travel distance from this community to the strip/airport area in Las Vegas to be around an hour and 15 Minutes. Mesquite is also around 30 minutes from St George Utah, a larger and more developed community with shopping and other services that Mesquite lacks at this time. Mesquite itself is a nice clean city with mostly newer construction. In the mid-1980s Mesquite was a relatively quiet farming community with a few businesses catering to the travelers along I-15. The population at that time was around 800 people. The population has increased to over 19,000 with most of that increase coming within the last 15 years. The weather in Mesquite is similar to Las Vegas with summer and winter high temperatures about the same. Night time lows are somewhat cooler. There is quite a bit of development in the area of Anthem, Mesquite (master plan being called Anthem). A hospital is within a mile of the community. If you have any questions about these projects let me know. I will update these pages when additional information becomes available. I can also put you on my mailing list to receive updated information per your request. I hope you have enjoyed this information and will remember me if you would like Realtor representation to purchase and/or sell a home. Thank you. Please note that I am an independent Realtor that can represent you in your purchase at Sun City Mesquite, at no cost to you. I do not represent the builder or are otherwise affiliated with the builder, Del Webb Pulte. You can view all the new models and resale homes at Search Sun City Mesquite. We have recently moved from Missouri to Mesquite, NV and I wanted to let you know about our Real Estate person Chris Williams who works for Caldwell Banker Roadrunner Realty. He was very helpful in helping us find a home in Mesquite and he really worked very hard for us, helping us so many ways since we were so far away. A big thank you. One of the best retirement communities. Mesquite has been recognized as the #1 small city for retirement. Many of Mesquite's residents already know how great a place it is to live and play. Retirement is all about relaxation and rejuvenation. Those who want to get away from the commotion of big-city living should consider retiring in the small quaint city of Mesquite NV. Those who are looking to retire in Nevada but want to stay away from the hustle and bustle of Sin City you should consider Mesquite. Popular builders like Del Webb have realized the advantages of retiring in Mesquite. Its situated 80 miles from Las Vegas, yet is conveniently located on the Nevada-Arizona border as well as 40 miles from St. George, Utah. There are less than 20,000 people who call Mesquite home but the city is growing fast. For information, check out the Mesquite Chamber of Commerce Business and visitor guide. You'll want a Real Estate Agent with Leading-edge tech tools and training which give me the edge in effectively marketing your property online, 24 hours a day, seven days a week! Better marketing and better exposure mean quicker results. 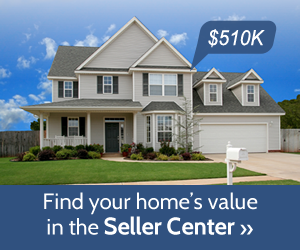 Ask about our leading-edge marketing and get your Free Sellers guide today. Call us today! When you're ready to get started, simply call me, 1(888) 346-8007.I'm happy to answer questions you have about Selling your home or buying a home in Mesquite NV.